A weekly newspaper’s former chief reporter has been appointed its editor following his predecessor’s departure from the company. 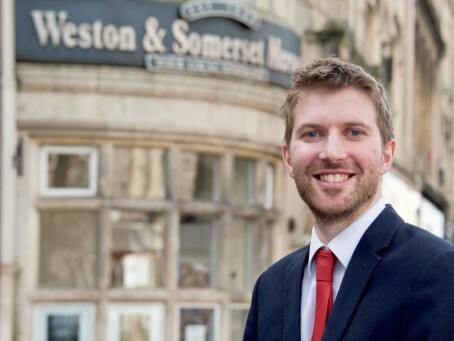 Tom Wright, pictured, has taken on the Weston Mercury, where he was chief reporter before moving to edit the North Somerset Times in 2015. As well as his new role, Tom will retain the editorship of the Times and fellow Archant title the Midweek Mercury. His appointment follows the departure of Simon Angear, who edited the Mercury for almost four years. Simon is now working for Weston Hospicecare, in Weston-super-Mare. Tom, who took on the Mercury on 12 February, said: “It is a tremendous honour to be asked to lead this fantastic newspaper. “Having worked here for almost seven years, I know how important the Mercury is in Weston. I’ve grown up in North Somerset and lived here almost my entire life so it makes this position all the more exciting. “The way we take in our news is changing constantly and I will make sure the Mercury provides the best service it can for the town. “Ultimately we are nothing without our readers, so whether they prefer to pick up a paper on a Thursday or follow us online, we will make sure they are well catered for. So this young man now “edits” three papers. Good to him and to them. Paperboy, you may well tell us your comment is aimed at the wider media industry, but I feel it is also unnecessarily disparaging of a talented journalist who deserves better. Knowing Tom as well as I do, I have no doubt that this is a role he has earned, and that he has the talent and application to make a success of it… even in the face of baseless sniping from the sidelines. Thank you for your concern paperboy and the compliment about being ‘young’. I have been extremely lucky to work under two fantastic editors in Judi Kisiel and Simon Angear during my time here in Weston, who both did a great job of running the three titles collectively. If I can be half as successful as the pair of them, then I will have done a fine job. I have a great team of reporters here and I believe you cannot be a successful editor without that starting point, so I am confident we will continue to do a good job for the town. Could not think of a better, more hard working and talented journalist to take over the role of editor following the incredibly successful leaders Simon Angear and Judi Kisiel. You certainly have a good line in PR speak Tom. As I said, and I meant it, good luck. I confess I am not a fan of multi-editorships but perhaps you are the exception to the rule. I sincerely hope so. We all need to work.